Archibald Vivian Hill was born on September 26, 1886 in Bristol, England. His family had little money and Hill won his education by competing for scholarships. His secondary education was at Blundell's School from which he obtained a scholarship to Trinity College, Cambridge. At Cambridge he studied mathematics and natural sciences, graduating third wrangler (highest honors) in mathematics in 1907. After graduation with the urging of his teacher, Sir Walter Morely Fletcher, he accepted a fellowship to do physiological research that allowed him to stay at Cambridge for four more years. With the encouragement of John Langley, the owner and editor of the Journal of Physiology, Hill began investigating "the efficiency of cut out frog muscle as a thermodynamic machine". At the time it was known that muscles produce heat in response to a twich or tetanus, in tetanus the rate of heat production declines as the stimulation continues and that the ratio of of work to total energy is dependant on the load and has a maximum of .30. Hill using a more advanced temperature sensing device was able to determine that heat was produced both during and after muscle contraction, in the recovery phase. From 1914 to 1919 Hill devoted his time to the war effort, commanding an experimental anti-aircraft section. 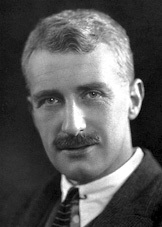 After the war, Hill returned to Cambridge and soon after accepted a faculty chair at Manchester University. He continued his research into the heat production of muscles, discovering that the heat produced at the initiation of a muscle contraction did not require the presence of oxygen gas. The heat produced by muscles upon recovery however was greater in the presence of oxygen than it was in nitrogen. Working in at the same time the German biochemist Otto Meyerhof had shown that in the recovery phase lactic acid, which was believed to be the chemical product of muscle contraction, can be reconverted back into glycogen or combusted by oxidation. Hill shared the 1922 Nobel Prize for Physiology or Medicine with Meyerhof "for his discovery relating to the heat in the muscle". This synthesis of thermodynamics and biochemistry, though some was later proved incorrect, was the first coordinated explanation of muscle function. Together Hill and Meyerhof coauthored only one paper together, but Hill kept a stack of the reprints of Meyerhof's papers, which he was constantly referring to. Hill and Meyerhof received their Nobel Prizes in 1923. In 1923, shortly before the Nobel was announced, Hill accepted a professorship at London University, where he remained until 1951. As years passed a clearer picture of the chemical processes involved in the production of high energy compounds used in muscle contraction emerged. Eventually it became clear that there were two chemical pathways by which the energy used in muscle contraction was produced, one dependant on oxygen and another independent of oxygen, the so called aerobic and anaerobic pathways. In the aerobic, with oxygen, pathway glucose, the major source of biochemical energy, is converted entirely into water and carbon dioxide. In the anaerobic pathway glucose is broken down with lactic acid as an end product. Hill's observation of a smaller heat produced in the recovery phase without oxygen is the muscle tissue rebuilding its store of high energy compounds with the production of lactic acid. After receiving the Nobel Prize Hill continued his work on muscle biophysics and extended his research to the measurement of heat released by nerve impulses. His work is largely responsible for the emergence of the study of biophysics. Other honors he received include election to the Royal Society in 1918, the Royal Society's Copley Medal in 1948 and numerous honorary doctorates from universities British and foreign. He served as a member of Parliament, representing Cambridge from 1940 to 1945. Hill died on June 3, 1977.